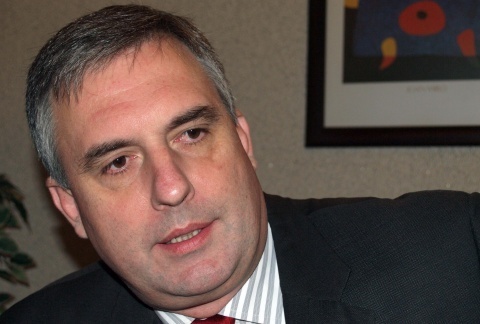 Ivaylo Kalfin, former Bulgarian Foreign Minister (2005-2009) and current MEP, has been chosen as the leftist Bulgarian Socialist Party's presidential runner for the upcoming elections in the fall. Kalfin was backed by the National Council of the oppositional party, which gathered Saturday to name its candidate. In Saturday's decisive vote, BSP MP Yanaki Stoilov finished second, with the other three hopefuls, current Presidential Advisor, Ivo Atanasov, former MEP Georgi Bliznashki, and the leader of BSP in the Sofia suburb of Bankiya, Stefan Vasilev, winning just a couple of votes. Before the vote, MP Petar Korumbashev, former MP Tatyana Doncheva, former MEP Atanas Paparizov, businessman Georgi Gergov and former Ambassador to Egypt Ivan Gaytandzhiev withdrew their bids to run as the leftist party's presidential candidate. Kalfin, who is technically not a member of the Bulgarian Socialist Party but of the minor leftist Political Movement "Social-Democrats" was Bulgaria's Foreign Minister in the three-way coalition government of Sergey Stanishev in 2005-2009. Kalfin is known for being close to outgoing President and ex BSP Chair Georgi Parvanov, and for being one of the more recognizable figures in Parvanov's movement ABV ("Alternative for Bulgarian Revival") launched in the fall of 2010, a formation which was expected to turn into a political party.